Saturday was a different story as he was off resting and finishing the demo, so not much to say there. 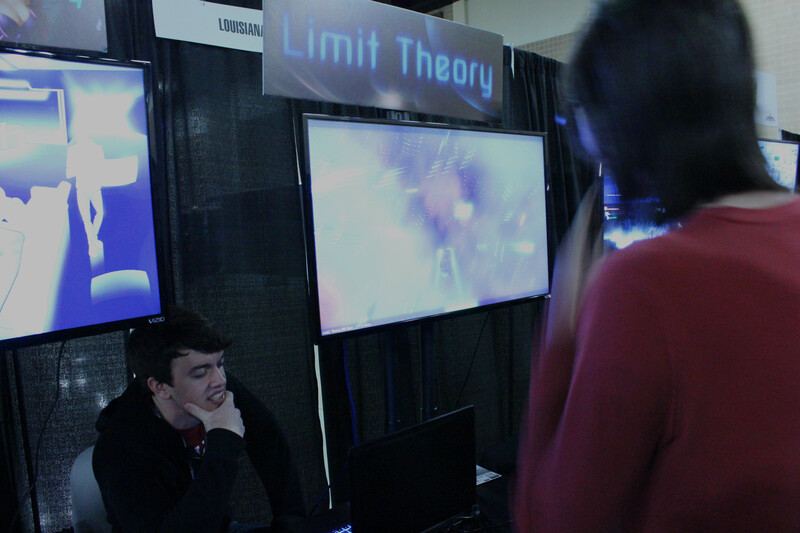 Then comes Sunday, I walk up to the booth and see Josh at the table with a controller out for people to grab and use! 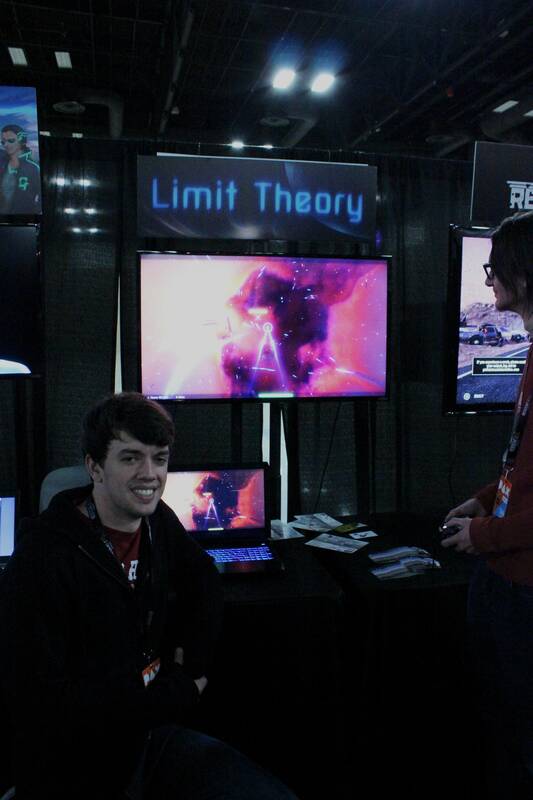 The demo itself was nothing more than an arena shooter as he had to remove much of the game to get something useful. 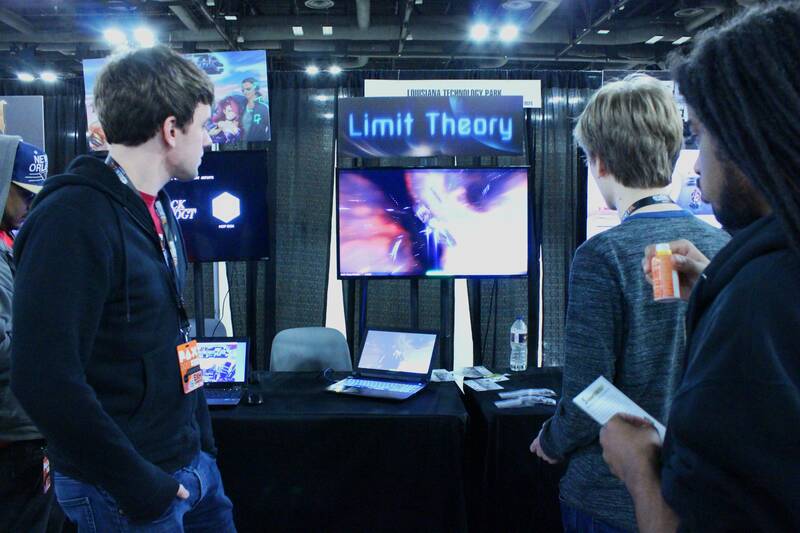 I wouldn't call the demo Limit Theory, I would call it a mini game in the LT engine. While I and many other may have wanted more I will say that making a demo for a game that is as expansive and complex as what we know LT already is just from the old update videos is fairly difficult. I haven't used a controller in a long time, and I noticed something that made the demo much harder than it should be. He forgot the targeting reticle . And so five minutes later there was a reticle, he then started adding a bit of aim assist to help people use it. Not much later I caught him trying to make the aim assist perfect as he thought it was now too easy. In the end I convinced him that leaving a bit easier is a good idea as people would feel a bit better about it if they come away killing a lot of ships. 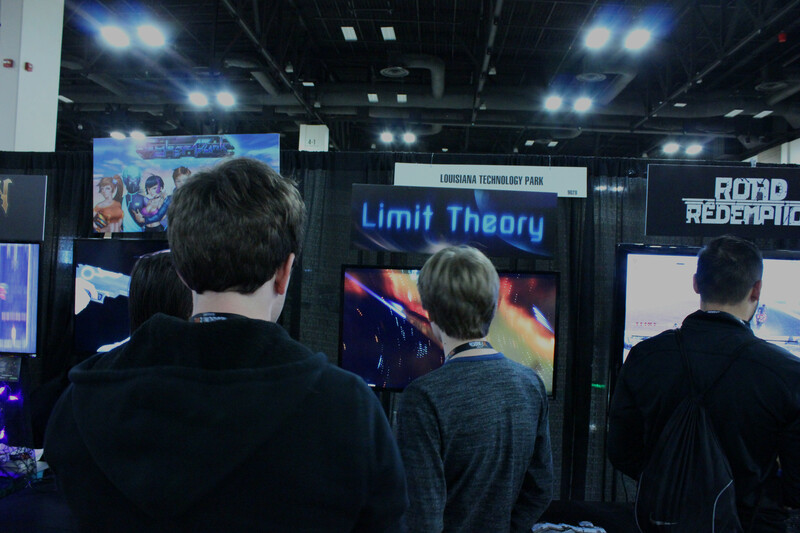 I have more to say on Limit Theory at PAX South however I am very tired after a 5 hour drive home the same day. 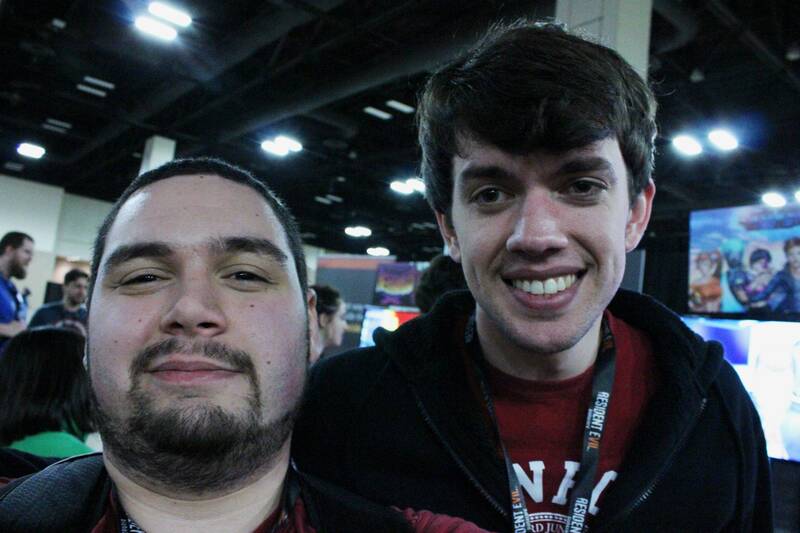 So here are some pictures for now, and expect a few more words from myself and Josh in the near future. Enjoy!! Thanks for the update and the pictures, Sky! Next time, we get our schedules worked out before the event. Ooh! Ooh! Really important question! Josh, when you get back on here after being dead sleeping, think maybe you could upload the demo or something for us? Glad you got some pictures, Sky! Nice info, too. Glad to hear he was having fun there. Someone looks really tired in those pictures. that link was far too well hidden for me.